The first method is the easiest of the two. 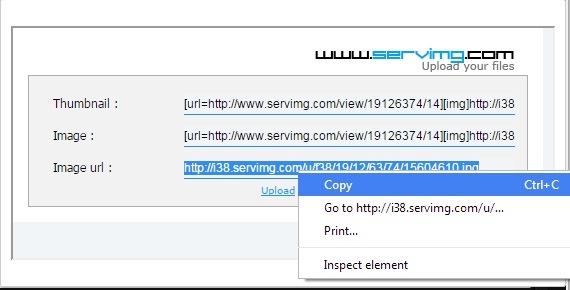 Simply copy the URL of an image you want > click the insert image button as shown below > past the text into the URL box. It's really that easy! You don't even need to resize the image because the forum is set to automatically do it! The second method is a little more difficult, but really easy once you know how. There's two ways to do this. First you can have your own online storage such as photobucket as an example, which simply means uploading your photo there and copying the URL and following the First Method above! The other way you can do this is by hosting it here. Simply click on the Host an image button next to the instert an image button > click the choose a file button and browse your computer to locate the image > click host it which brings up a new page > click on the bottom link and right click and copy > follow the same steps as Method one to insert the image by the hosted URL. To host a second image, just click the Upload button below the Image url. If you have any issues, please do not hesitate to contact us! We're more than happy to assist you.